Lent is a season of Holy Moments: from Ash Wednesday to the most Holy Moment of Jesus' Passion, Death and Resurrection. Don't miss out on creating your own holy moments with the Eucharistic Lord in the Divine Mercy chapel. Your prayers matter. Jesus awaits you. 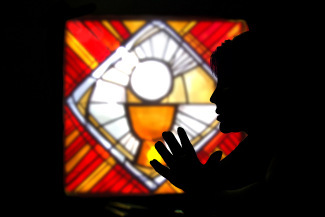 Eucharistic Adoration will be available, Monday-Friday, March 7 - April 12, 9 am - 7 pm. Sign-up below or drop in and visit. If you have any questions, contact Mary Gulde at Maryg@StMaryMagdalen.org or call 407-265-2315.